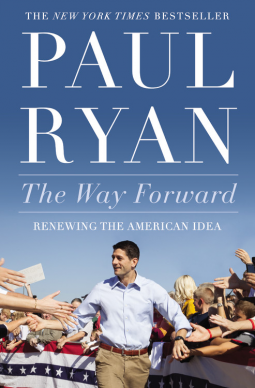 In The Way Forward, Paul Ryan challenges conventional thinking, outlines his political vision, and shows how essential conservatism is for the future of our nation. Beginning with a careful analysis of the 2012 election-including a look at the challenge the GOP had in reaching a majority of voters and the prevalence of identity politics-Ryan examines the state of the Republican party and dissects its challenges going forward. He also offers a detailed critique of not only President Obama but of the progressive movement as a whole-its genesis, its underlying beliefs and philosophies, and how its policies are steering the country to certain ruin.